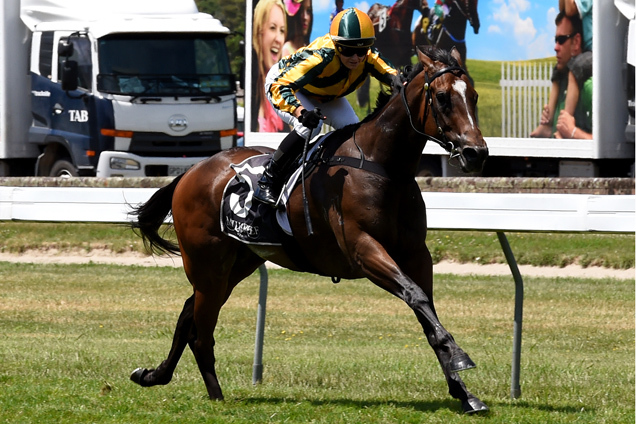 An impost of 60kg is tempering Pukekohe trainer Richard Collett's confidence that his talented mare Untamed Diamond can make it back-to-back wins in the Listed Legacy Lodge Sprint (1200m) at Te Rapa on Saturday. Snitzel six-year-old Untamed Diamond carried 125lbs to win the sprint last year under Trudy Thornton and while Collett was pleased with her preparation for this year's race, he felt the extra weight was the biggest obstacle to defending her crown. Collett would like to get a similarly economical run on Saturday under jockey Andrew Calder. "She was sore in behind last summer and she missed a fair bit of racing so we wanted to give her the best opportunity. She'll probably race in Brisbane next autumn and winter and then go to the Broodmare sale over there. She's probably easier to place in her races over there too." Untamed Diamond has already performed admirably in Australia, winning three races in Sydney and finishing second in the Listed Bright Shadow Stakes (1200m) at Doomben last May.